On the place where the lake is now till 1947 was the valley Mavrovo where the river Radika was flowing. Then at the exit of the valley was closed the way of the river Radika with a big ground dam. The valley started to get filled with water and on its place became the Mavrovo Lake. The new nascent lake flooded 1370 hectares mostly meadows and accumulates about 357 millions m3 of water. 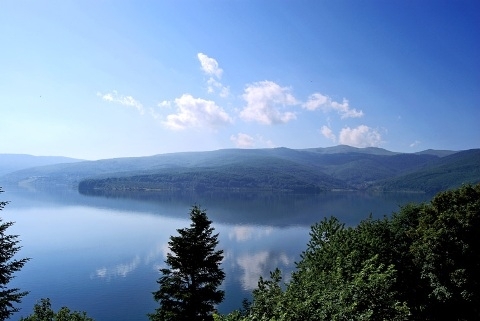 The Mavrovo Lake is 10m long and 5km to 3km wide. The biggest depth of 50m is near the dam which is 54m high, 210m long and 5m wide. In the base the dam is wide 286m and in it are build 705.000 m3 material. Today the lake besides the small tributaries of water is filled by the river Radika. The canalized waters of this river are used for production of energy and irrigating. Every year during the winter the lake freezes. 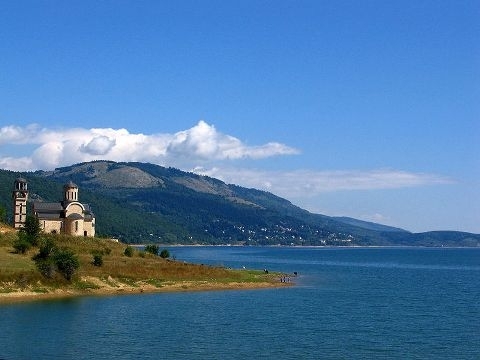 The Mavrovo Lake was filled with trout and with other fishes, and the surrounding is rich with game. Above the lake on all sides are raising high deciduous and evergreen woods, which are reflected at the clear water of the lake that gives a special beauty and appearance.